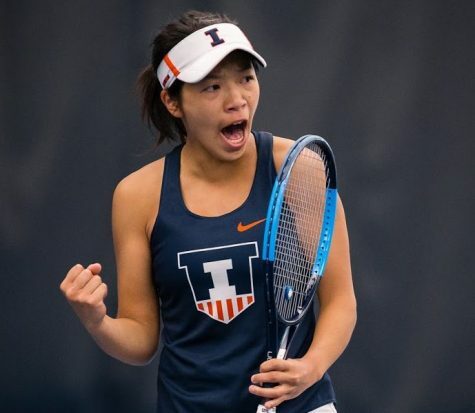 The Intercollegiate Tennis Association acknowledges how much competition Illinois men’s tennis has gone up against this season, and it has reflected in the team’s ranking. 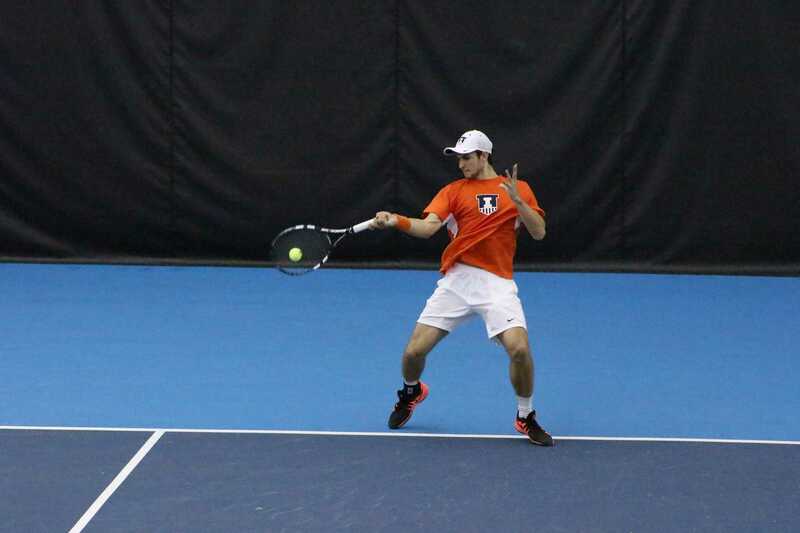 Illinois traveled to Baylor last year, coming out on top 4-3 behind singles match victories from graduated seniors Tim Kopinski and Ross Guignon, now-senior Jared Hiltzik and sophomore Aleks Vukic. 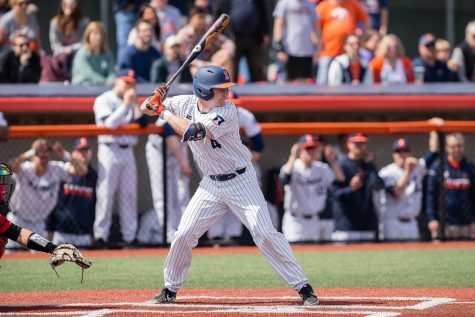 chThe team was down 3-1, but rallied its way back to top the Bears, who were ranked No. 6 at the time (Illinois was No. 11). The lineups will be different this time around, because both teams have lost a few important players from last year’s teams. 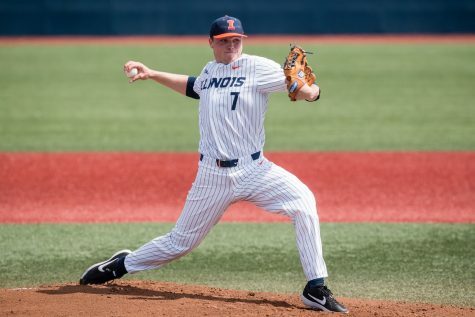 Hiltzik and Vukic have traded Illinois’ No. 1 singles spot this year, and one will take on Julian Lenz. Lenz is ranked No. 17 in the ITA National Players Rankings and has strung together a 15-1 record this year. Lenz was an All-American in both singles and doubles in last year’s spring season. The German native was ranked No. 1 during two separate weeks last year. 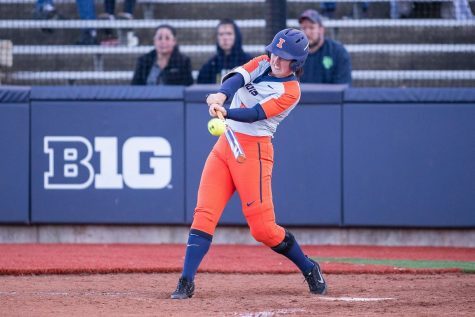 Illinois players have continued to move up in the rankings. Vukic moved up three spots to No. 6, and Hiltzik moved up to No. 8. Jared’s brother, Aron, also jumped three spots, putting him at No. 63 heading into the weekend’s competition. Head coach Brad Dancer has implemented different lineups throughout the season, but has maintained a similar doubles lineup. 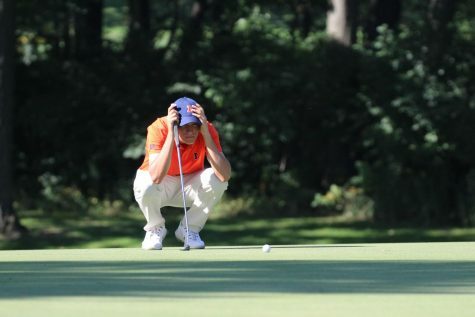 Freshman Pengxuan Jiang and junior Julian Childers have paired together to compete in the No. 3 doubles position for most of the season. In singles, Dancer has shuffled around the bottom of his lineup. Senior Brian Page and freshman Pablo Landa have split time at the No. 6 position, and both have battled to keep that spot in the lineup. The match will take place at a neutral site in Indian Wells, California, as a part of the BNP Paribas Collegiate Challenge. Illinois did not participate in the Challenge last year.